NOW for Empowerment is a nonprofit organization registered with the Cabinet Office of Japan. It was founded in March, 2009 by graduates and faculty of the Japan Women’s University Recurrent Education-Reemployment System. NOW for Empowerment aims to realize an equal and prosperous society in which people can pursue meaningful lifetime careers regardless of gender. 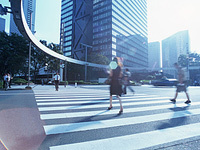 In Japan it is a social reality that many women leave their jobs within the first five years of employment for reasons such as child-rearing, their husband’s job relocation or a personal desire to change career paths. It is also true that re-employment at a position and pay-level on par with their former jobs is extremely difficult because of inflexible legal and social structures. In consequence, for a lot of women what was intended as a career break can often result in a broken career. This is a great loss not only for the individuals involved but for the economy in general, particularly in the context of Japan’s shrinking workforce. The problem is structural, requiring targeted legislative change, greater equal-opportunity initiatives from the business community, and perhaps most importantly a fundamental shift in the way we as a society think about reemployment. NOW for Empowerment works to promote such social changes while simultaneously providing immediate support for women trying to restart their careers today. The Japan Women’s University Recurrent Education-Reemployment System has been helping women university graduates returning from a career break to acquire the advanced knowledge and practical skills needed to reenter the workforce on fair terms. Following the university’s founding principles—Conviction, Creativity and Cooperation—the members of NOW for Empowerment aim to extend this mission beyond the gates of the university through holding community educational sessions, introducing employment opportunities and building a support network for working women across Japan. 当サイトに掲載された記事・写真の無断使用・転載を禁じます。Copyright © NOW All Rights Resrved.